Home » FAQ » Why do I get a warning dialog about an unidentified developer when installing GOOSE on macOS? Why do I get a warning dialog about an unidentified developer when installing GOOSE on macOS? The software we provide for macOS Sierra can only be downloaded through our website. The default security settings for a Mac do not allow installing apps that have not been registered in the App Store by an identified developer. To install the GOOSE client, you have to open System Preferences -> Security & Privacy -> General. Here you should see the option to allow installing applications from unknown sources. How to install the Chrome extension? How to turn the "You're not safe online" pop-up off? Does GOOSE VPN has a Kill Switch? Why do I only see a few servers? I often get an error message about the server being unreachable. I can’t download with GOOSE VPN. The speed of my internet connection decreases a lot when using GOOSE VPN. I want to use a popular video streaming service, but it didn’t work with GOOSE VPN. Which protocol should I use for Mac? On what devices can I use GOOSE VPN? How do I change the protocol GOOSE uses? Why does Windows Defender report that GOOSE VPN is unsafe? How do I know GOOSE is set up properly? 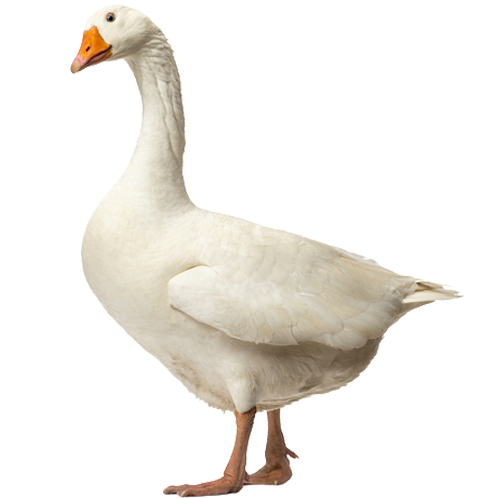 How do I download the GOOSE VPN software to my Windows desktop? Which servers can I use to download? Is it allowed to download Torrents with GOOSE VPN? Can I use GOOSE VPN on multiple devices? Do I have to use VPN if I want to download torrents? How do I choose a different server location? Can I install VPN on my Apple TV? Will I be using a different IP address every time I go online? How do I find out what version of Windows I am using? How do I find out which version of iOS I am using? How do I find out what version of Android I am using? How do I find out what Mac I have? Does VPN slow down internet connection? Can I install GOOSE VPN on my router? Can I install GOOSE VPN on my NAS? There are no results for your search. Please contact support@goosevpn.com. With GOOSE VPN you are safe and limitless online within just 3 steps, within 3 minutes. No technical knowledge is required. GOOSE VPN is available for all devices. Windows, Mac, iOS and Android. Sign up, install, and press connect. Copyright GOOSE 2014 - 2019. All rights reserved.